1. Protection from bipolar relapse. 2. Relief from unipolar and bipolar depression. 3. Protection from heart disease and stroke. Basically any drug getting these sorts of results for bipolar depression would be heavily funded with lots of studies and applications to the FDA. 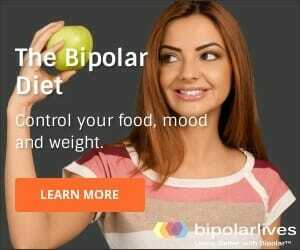 Fortunately however, there are enough responsible clinicians like Goodwin and Jamison that the medical establishment has not completely overlooked healthy alternatives such as fish oil for bipolar disorder, and good research on fish oil bipolar treatment benefits does exist, as described later on below. Countries with high fish consumption have lower rates of depression. What are omega-3s and essential fatty acids? What do they have to do with fish oil? Essential fatty acids (EFAs) are fatty acids that cannot be constructed within the human body and therefore must be obtained from the diet. EFAs are significant, and are termed essential, because they are required for our bodies’ biological processes, and not just for fuel. There are are two families of EFAs: omega-3s, and omega-6s. Omega-3 fatty acids are important for cell membrane fluidity and neuronal signal transduction. The most widely available source of omega-3s is cold water oily fish such as wild salmon, herring, mackerel, anchovies and sardines. The EFAs that have been found to be helpful to bipolar people are the omega-3s found in fish oil. Visit the University of Maryland Medical Center for more omega-3 (fish oil) information. Interest in fish oil bipolar treatment benefits was initially sparked by studies that found lower rates of major depression and suicidal thinking in countries where people naturally consumed large amounts of fish oil as part of their regular diets. For example, in 1998 Hibbeln found that greater seafood consumption was related to lower lifetime rates of major depression. Fish consumption at least twice a week indicated a reduced risk for both depressive symptoms and suicidal thinking. In 2001, Tanskanen and colleagues reported lower rates of suicidal ideation amongst frequent eaters of fish in Finland, and a decrease in suicide risk amongst daily eaters of fish in Japan followed over 17 years. Clinicians became interested in conducting research into fish oil bipolar treatment benefits because of these observations that there seemed to be a link between high levels of fish oil consumption and low rates of bipolar and depression. 1. In 1999, benefits of fish oil for bipolar disorder were found by Stoll and colleagues: omega-3 fatty acids were well tolerated and improved the short-term course of illness in this preliminary study of patients with bipolar disorder. 2. In 2005, Osher and colleagues found that 1.5-2 grams of EPA was associated with 50% or greater improvement in bipolar patients. There is other research that may shed light on some aspects of mania and fish oil benefits. Studies were conducted on prisoners in England where the inmates were fed seafood which contains Omega-3 Fatty acids. The higher consumption of these fatty acids led to a drop in the assault rates. Another Finnish study found that prisoners who were convicted of violence had lower levels of omega–3 fatty acids than prisoners convicted of nonviolent offenses. 4. In 2002, Nemets and colleagues found highly significant benefits of the addition of the omega-3 fatty acid compared with placebo by week 3 of treatment. 5. In 2003, Su and colleagues conducted an 8-week, double-blind, placebo-controlled trial, comparing omega-3s with a placebo, on the top of the usual treatment, in 28 patients with major depressive disorder. Patients in the omega-3 group had a significantly decreased score on the 21-item Hamilton Rating Scale for Depression than those in the placebo group. From the preliminary findings in this study, it seems omega-3s could improve the short-term course of illness and were well tolerated in patients with major depressive disorder. I am lucky – I actually love to eat canned fish such as red salmon and sardines. As I like these enough to eat them every day I could probably consume enough fish oil just from my diet to make an improvement in my mental health. However, I know many people do not share my enthusiasm for tinned sardines! If you do not wish to eat large amounts of fish, then taking fish oil or omega-3 capsules will work just as well. Some people like to use the liquid form and take a mixture of all the omegas as there are said to be health benefits from omega-6 and omega-9 as well. It is possible to buy mint and citrus tasting versions. An interesting feature of the studies outlined above is that many different doses were used – from 1 to 9 grams. Overall, it seems that the lower doses are just as effective. This means you can probably get fish oil bipolar treatment benefits from just 1 gram per day. One risk of fish oil omega-3 supplementation may be heavy metal poisoning if the body accumulates heavy metals such as mercury and lead from poorly refined fish oil supplements. The fish oil industry has successfully improved the quality of fish oils on the market. An independent test in 2006 of 42 fish oils on the US market by www.consumerlab.com found that all of the products exceeded safety standards for potential contaminants. This is good news. It means we can enjoy fish oil bipolar treatment benefits without fear of heavy metal poisoning. However, if heavy metals or other contanimants continue to concern you, seek out a reputable brand that provides some guarantee on purity and some information on their refining process. Try a dose of 1 gram a day. Go up to 2 after a month if you do not feel any benefits. I have personally experienced huge fish oil bipolar treatment benefits. Also, fish oil for bipolar is the subject of many message from my readers, all of which are so far positive! Where in the world can you buy a supplement with this high of an amount?